Brigadier General Michael C.H. McDaniel joined the Cooley Law School full-time faculty as a professor in the Constitutional Law Department in 2010. He will be responsible for developing an LL.M. program in Homeland Security Law. 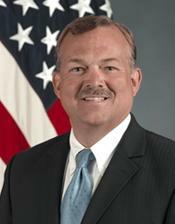 McDaniel most recently served as the Deputy Assistant Secretary for Homeland Defense Strategy, Prevention and Mission Assurance. His responsibilities included supervision of the Department of Defense Critical Infrastructure Protection Program and Global Anti-Terrorism/Force Protection Policy. McDaniel was appointed by Michigan Gov. Jennifer Granholm as her Homeland Security Advisor in 2003 and served in that capacity until July 2009. At the same time, he also served as the Assistant Adjutant General for Homeland Security, Michigan National Guard. He served as the liaison between the governor’s office in Michigan and all federal, state and local agencies on homeland security with responsibility for developing statewide policy on homeland security preparedness. His duties included coordinating efforts to protect the state and its critical infrastructure from terrorist attacks. McDaniel served as a member of the National Governors Association’s Homeland Security Advisors Council where he was elected to the Executive Committee in 2006 and 2008. He was named by the Office of Infrastructure Protection, Department of Homeland Security, as Chair of the State, Local, Tribal, and Territorial Government Coordinating council in 2007. McDaniel was promoted to Brigadier General in 2007 and has been a member of the Michigan National Guard for over 26 years, previously serving as a military judge. He was formerly the Assistant Attorney General for Litigation in the executive division of the Michigan Department of Attorney General. He received the Zimbardo Award, given to the Center for Homeland Defense and Security graduate who best embodies high academic achievement, outstanding leadership, and innovation in homeland security thinking.